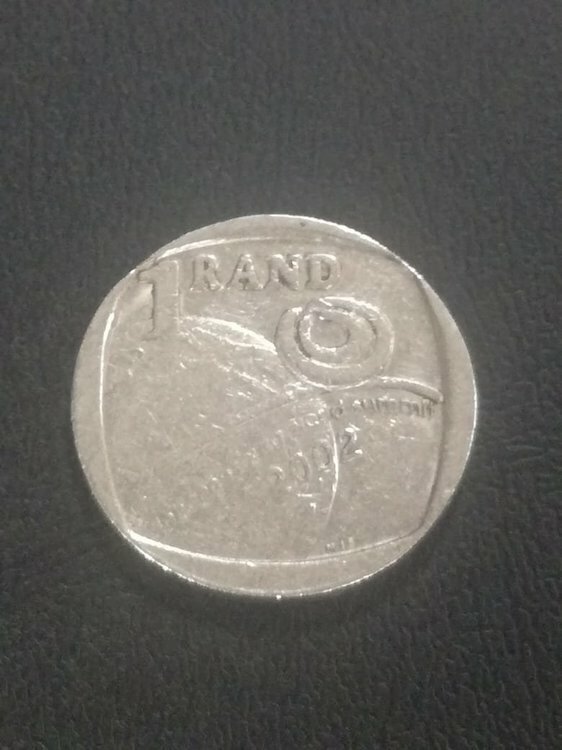 Got this 1995 R5 in my change today. 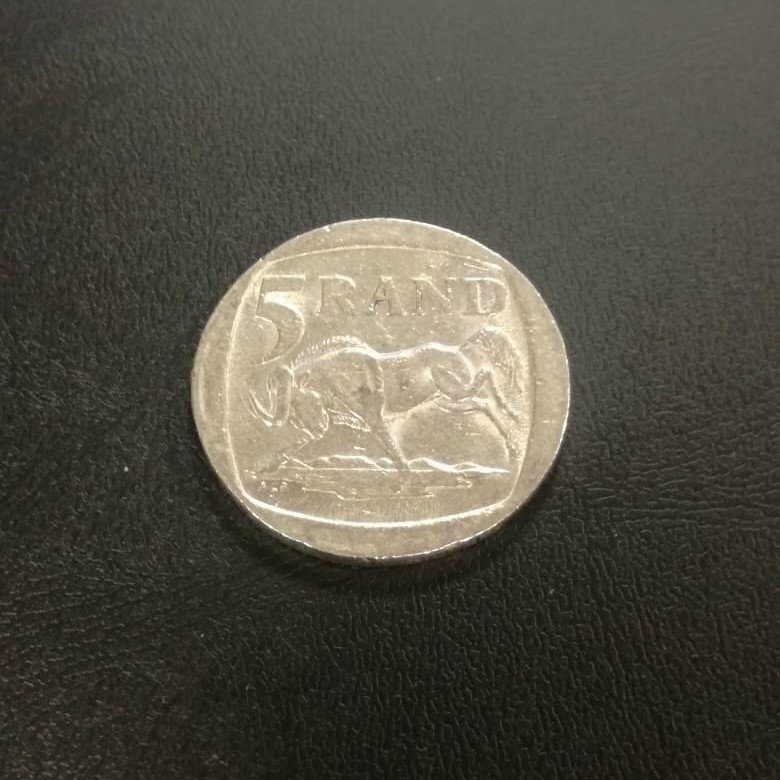 The photos doesn't do the 23 year old coin's brilliant cartwheel lustre any justice. Also has a mint error on the ALS initials on the reverse. With wear on the highpoints (the wildebeest eye almost still visible), I'd say XF, maybe even AU on a good day? Today's coin from my change is this 2016 50c. 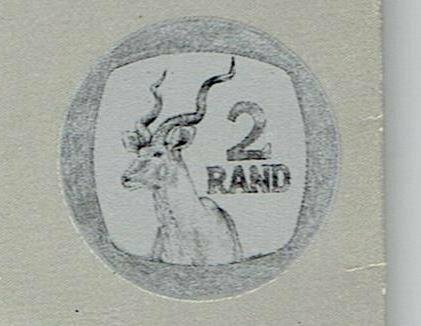 Weak strike on the obverse as is seen on the fading 6 in the date, as well as khoiSan's legs and the motto below the coat of arms. 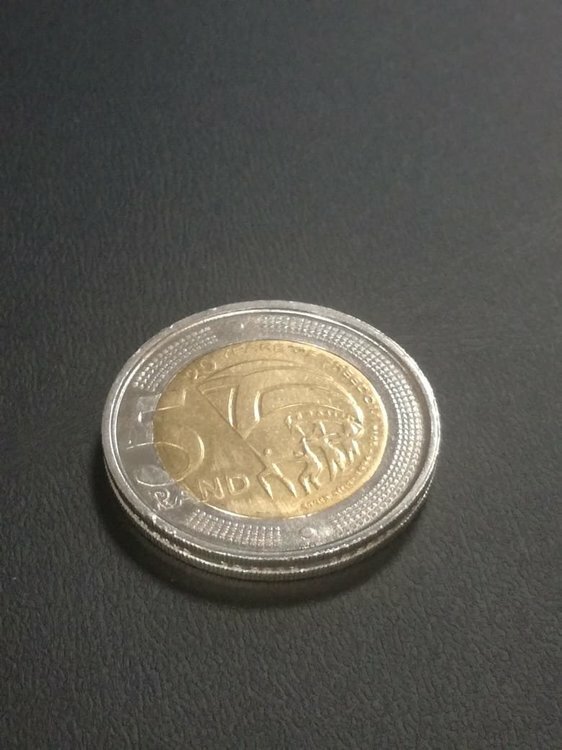 The unc coin is just a point of comparison. A brilliant R2 from circulation. I'd say almost proof like. You should also look out for the humpback Kudu variety. 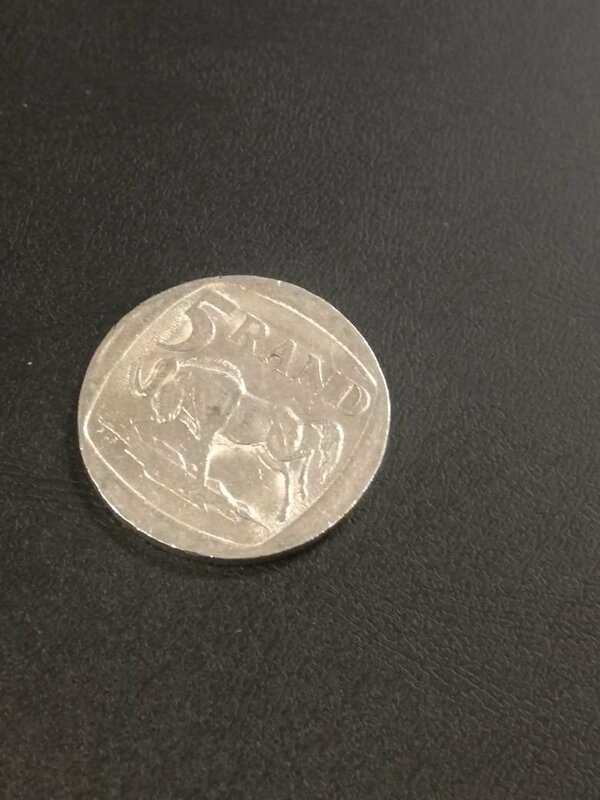 It's scarcer but I've found a few in my change. I have always believed that collecting coins from pocket change is an excellent past time for both the public in general and coin collectors specifically. Here is a link to an US site that gives more info on this wonderful way of collecting that is truly low-cost, open & available to all! Agreed. Unfortunately, recreational collecting has to compete with many more alternatives versus the past. It seems to me that the younger generation would rather be playing on their cell phones, wasting time on social media and watching dopey "reality TV" shows. Thanks, a good site with plenty of info. It will come in handy as I recently got myself a bag of US quarters. Today's coin of the day. 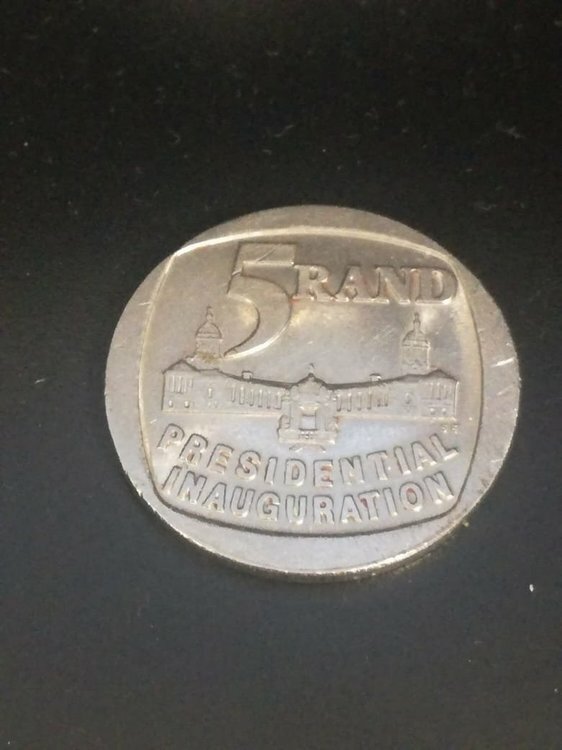 1994 presidential R5 a work colleague got from circulation recently. Perhaps it was removed for a period and put back into circulation. I remember getting one at the supermarket about two or three years back. 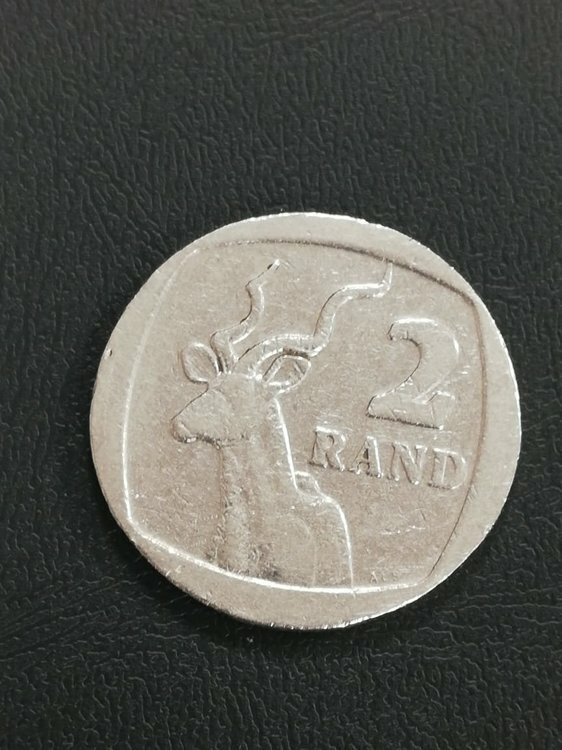 Got 2000 R5 with new coat of arms in my change today. Certainly less common than your average R5 along with those of 2001 and 2002. 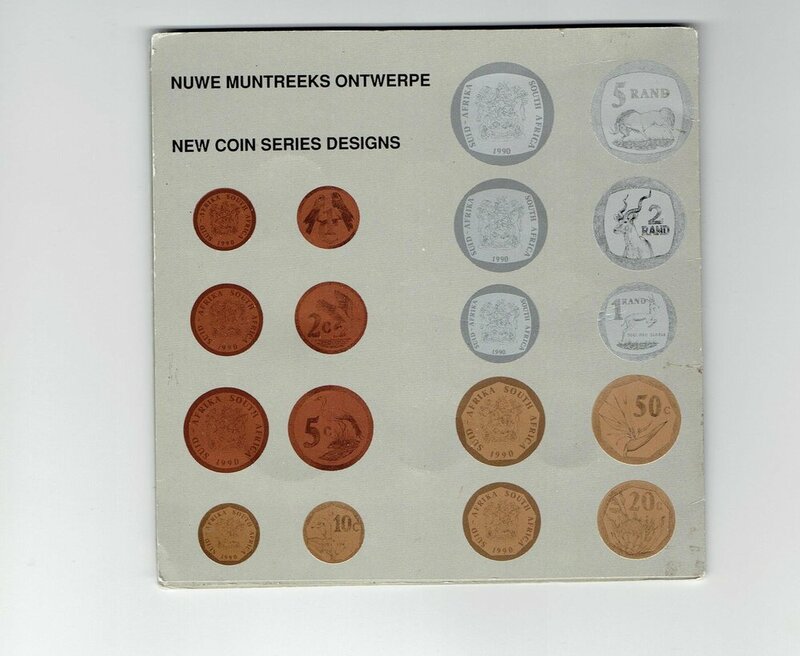 According to my MTB book the year 2000 saw three R5 varieties each with a mintage of a million. 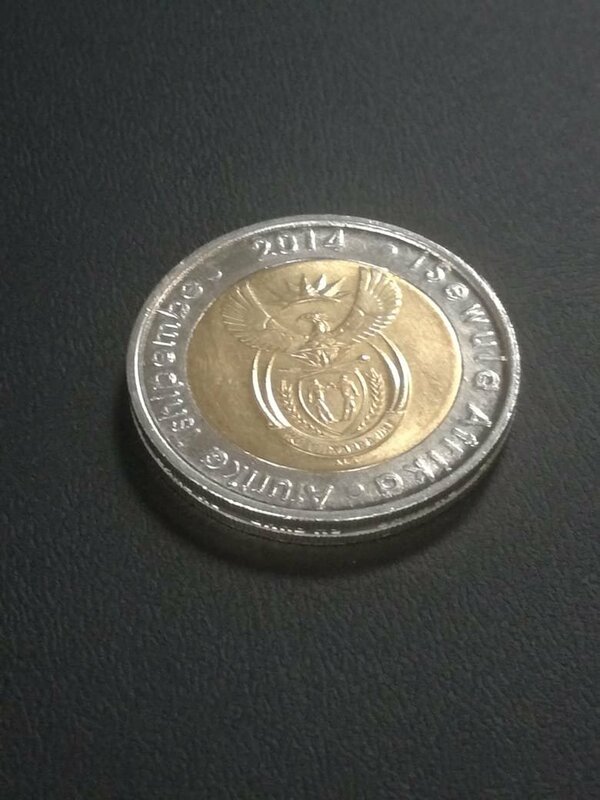 Namely the infamous Madiba R5; a standard coin with old coat of arms; and the third variety with the new crest. Mintages of 2 million per variety are listed according to other online sources. This week's coin of the day is a JHB world summit coin that a work friend got in circulation. 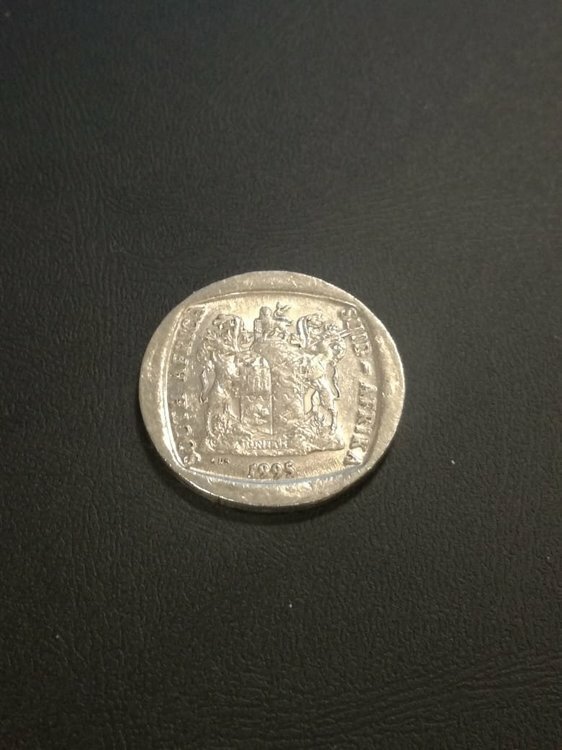 It's the first time I've actually seen and held this coin (other than seeing it in pictures). It feels almost a bit lighter and thinner than a normal one rand, but the rim looks the same when measured side by side. It also sounds the same when dropped. 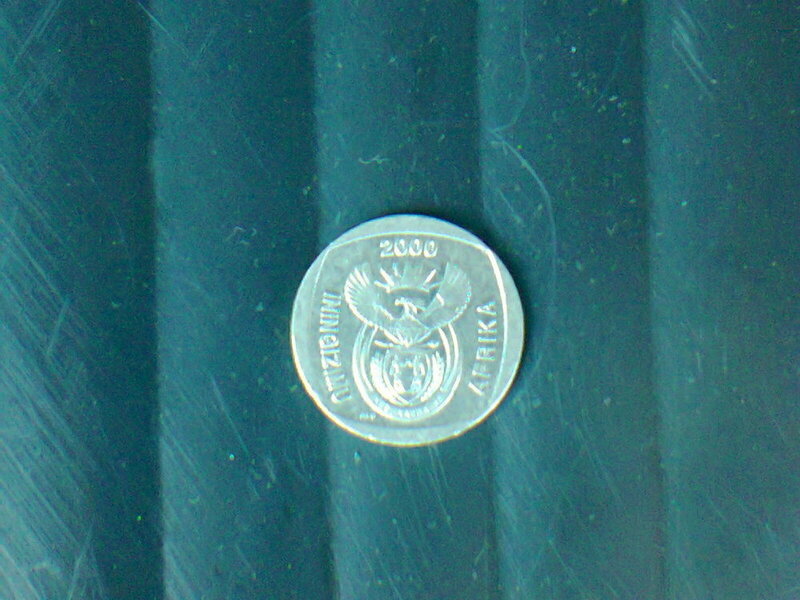 The coin still has a fair amount of luster in the fields around the devices. A friend showed off his 20 years of Democracy R5 that came from circulation. 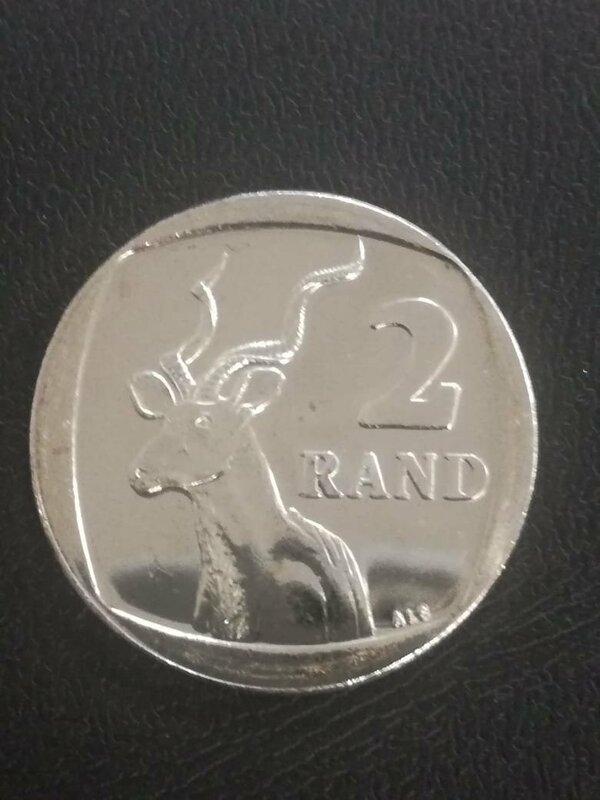 Looks too good to have been in circulation since 2014. Very nice cartwheel lustre. I see that there is now a 2 ounce Krugerrand released - amazing! And at only 4 times spot price, those mirror fields better be spotless! 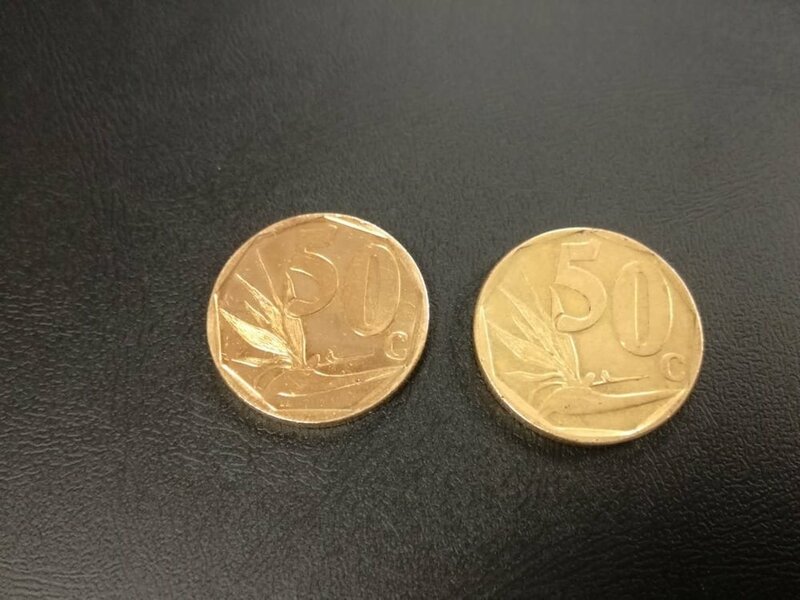 If a gold ounce krugerrand is about the same diameter/size as a silver rand, then it's safe to assume a 2ounce gold coin would be crown size. Can you imagine that, a solid gold crown, and not the kind you have on your tooth! After a lengthy search through my change most day, I've finally come across a humpback Kudu. I was starting to think it was a myth! Do you know if this defect was exclusive to 2003? From what I can remember, either the pattern piece cover photo or the first day cover photo showed the hump back. I know I had one or the other. 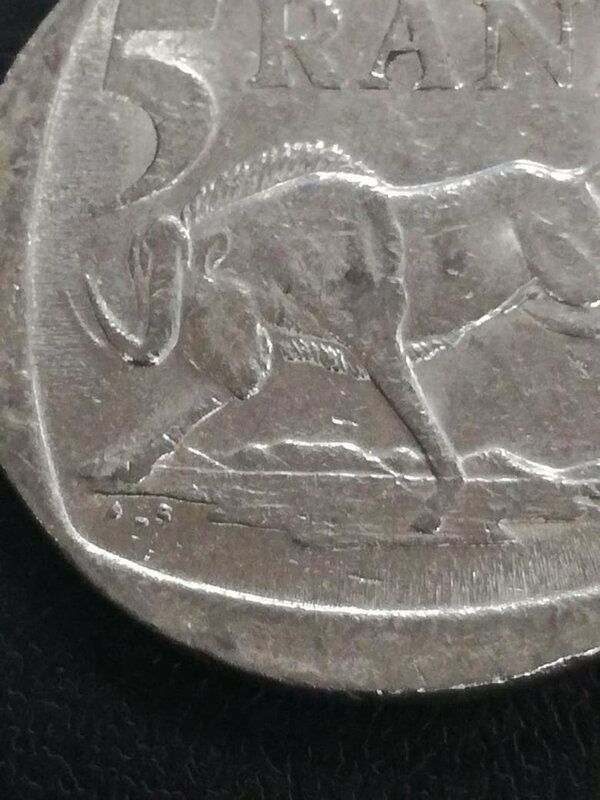 That means that all the the other non hump back coins, (the majority by far) are varieties, and not the hump back itself. I will try and look for it. A friend at work was kind enough to present me with my third 2018 Madiba R5. 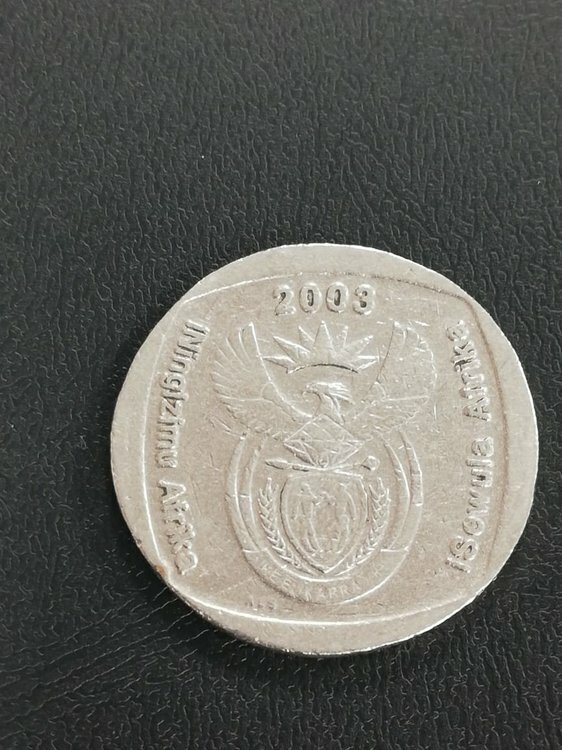 I also found one in my change the other day and noticed there's no designer initials on the reverse (Mandela's face) of these coins. 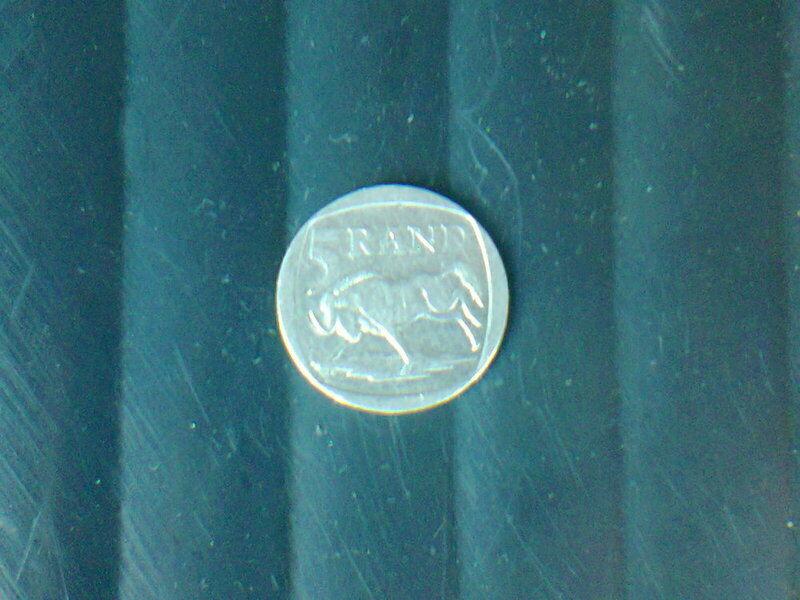 I found the same thing on the Griqua R5. Not sure what to make of it. 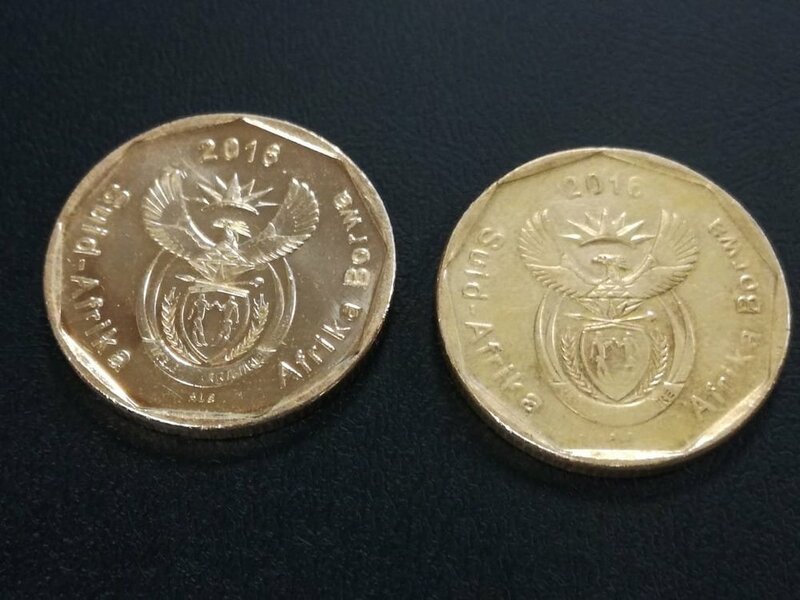 I see that the SA Mint also refers to the "dated" side as the obverse and the "face " side as the reverse. This is actually not the international norm.
" ... In this usage, obverse means the front face of the object and reverse means the back face. 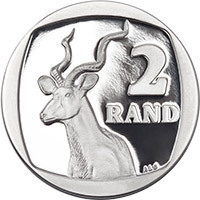 The obverse of a coin is commonly called heads, because it often depicts the head of a prominent person, and the reverse tails..."
I think of the reverse more as the side which shows the currency and value of the coin. 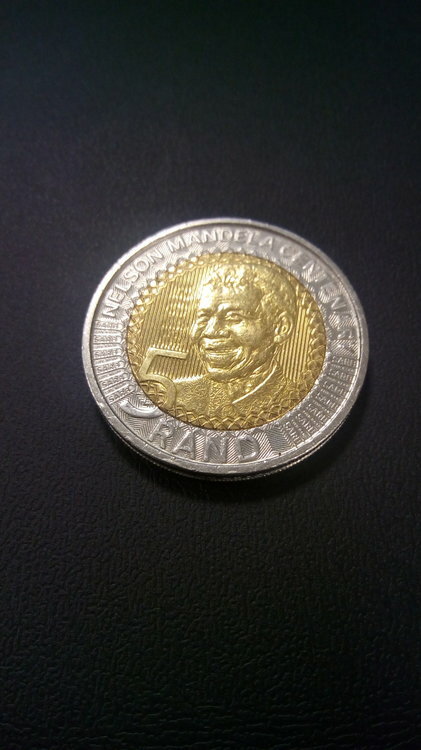 I think it's more to do with the SA mint only reserving portraits on the obverse for heads of state after the end of their term, which Madiba already got in 2000. The other effigies of him on the reverse are merely seen as further tributes to the man. 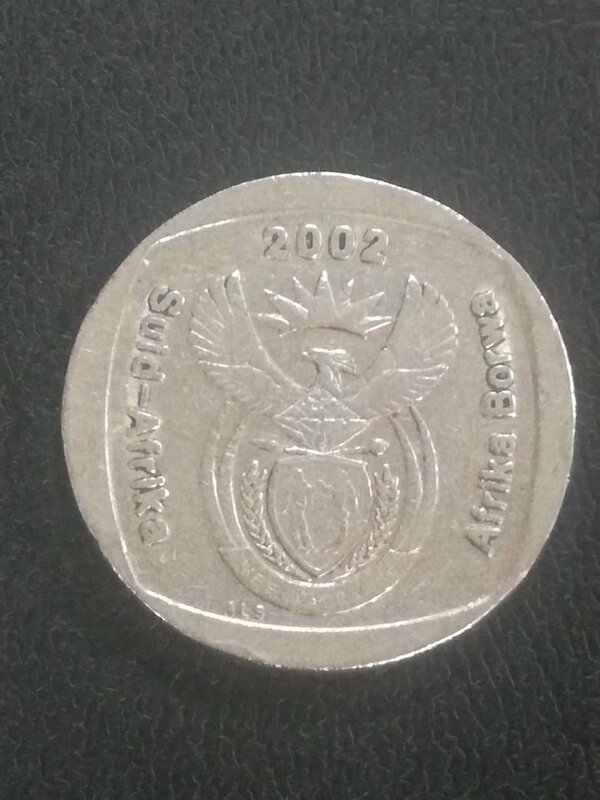 That being said, there are those who haven't gotten a obverse like de Klerk, Mbeki, and Zuma (not to mention acting presidents that held the seat warm). Perhaps the mint will commemorate these former heads of states upon their passing. 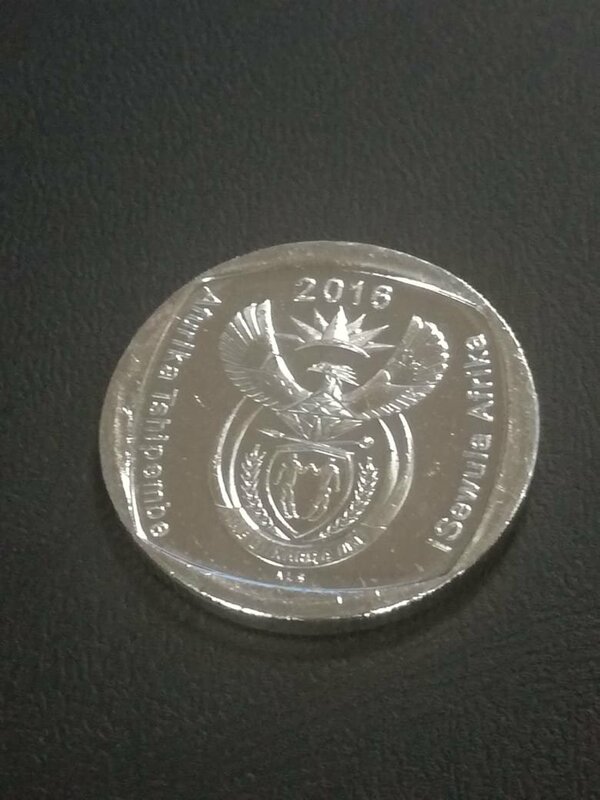 Or we could just see more Madiba R5 coins released every decade or so. I wonder in the case of the Griqua coin, would the original designer's (The one who designed the dove for the missionary) initials be used, or the current engraver? 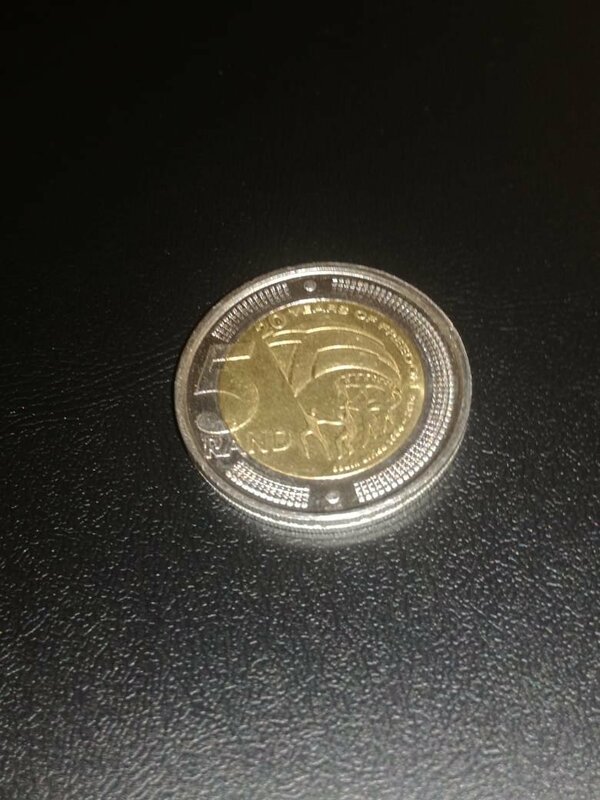 Many of us are still searching for the person who designed the original Griqua coins. 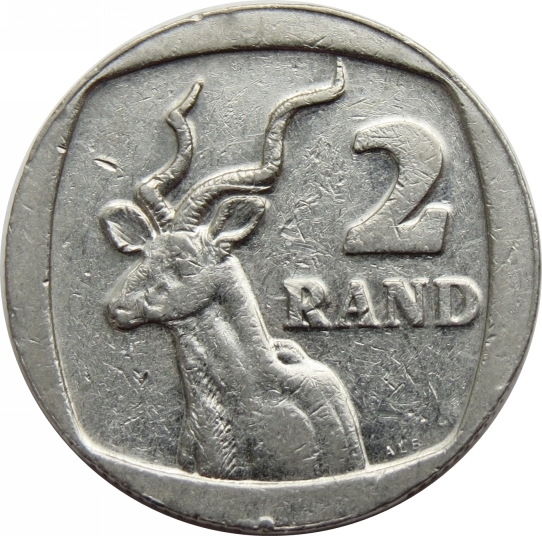 "Thomas Halliday was the die-sinker for the Griqua coinage, but most probably not the maker. 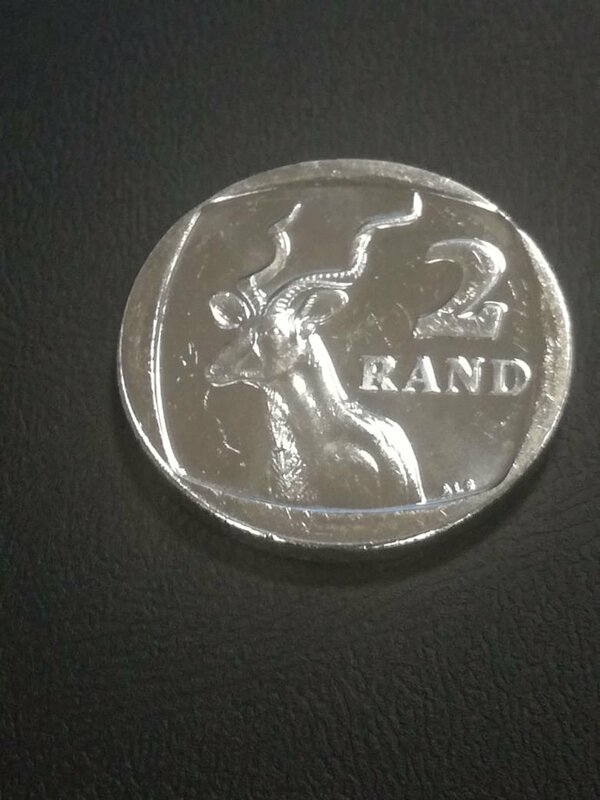 He might have designed them and he made the dies but for their mintage, one probably has to look elsewhere. In my view, someone like Sir Edward Thomason is a good candidate (he struck silver coinage for Africa in the same period) and also resided at Birmingham at the time - he and Halliday worked closely together. Halliday and Thomason frequently worked together – the one as designer (die-sinker) and the other as the actual minter." Interesting. Thanks to all the participants. This can only be good for SA coin collecting. At last I have found it. This is a scan of the common first day cover showing the various designs, including the humpback R2. I do not have the scarce white first day cover, and was wondering whether this carries the same R2 design.